Although the United States recently experienced a slight drop in maternal deaths, the nation’s maternal mortality rate has risen steeply since 2000 at the same time it fell by more than a third globally. 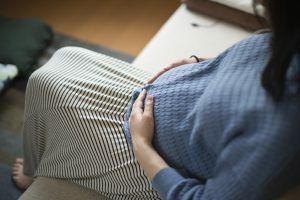 New data from the University of Washington’s Institute of Health Metrics and Evaluation, a research group funded by the Gates Foundation, indicates that between 2000 and 2015, the maternal mortality rate in the U.S. increased by nearly 47 percent, from 17.1 deaths per 100,000 population to 25.1 deaths. The 2015 figure, however, represents a drop since 2013, when the institute recorded 27.8 deaths per 100,000. The 15-year trend in the U.S. not only runs counter to the worldwide rate, but to that in most other industrialized countries. The 2015 rate of maternal deaths in the U.S. also remains higher than that in many industrialized countries. For example, the institute reported 6.9 deaths per 100,000 in Canada, 7.6 in France, and 6.3 in Japan. Health analysts cite several reasons for the high number of deaths related to pregnancy or childbirth in the U.S. Among them: high rates of chronic diseases, such as diabetes and obesity, and lack of access to maternal health care. Nearly half of the counties in the U.S. have no obstetrician-gynecologists and 56 percent are without a nurse midwife. Alarmed about the rise, about half the states have created maternal mortality review boards to investigate the causes of each death in hopes of developing strategies to bring down the rates. The U.S. Centers for Disease Control and Prevention has launched a campaign to encourage all states to create panels and to standardize the data collected to help identify patterns.